It was packed slightly different; it had no sheet of paper inserted between the layers. Also it had a strong detergent fragrance/smell and a hint of body odour. Response from Charles Tyrwhitt: I do apologise that this particular item did not arrive in the usual excellent and brand new condition in which our products are usually sent. This is most unusual and will certainly ensure it is fed back to our Warehouse Team. While I trust a quick wash will have it looking - and smelling - as good as new, we would be more than willing to have a replacement sent to you should you wish. Please do let us know as we only want you to be 100% delighted with your purchase. Quality casual wear and great design. 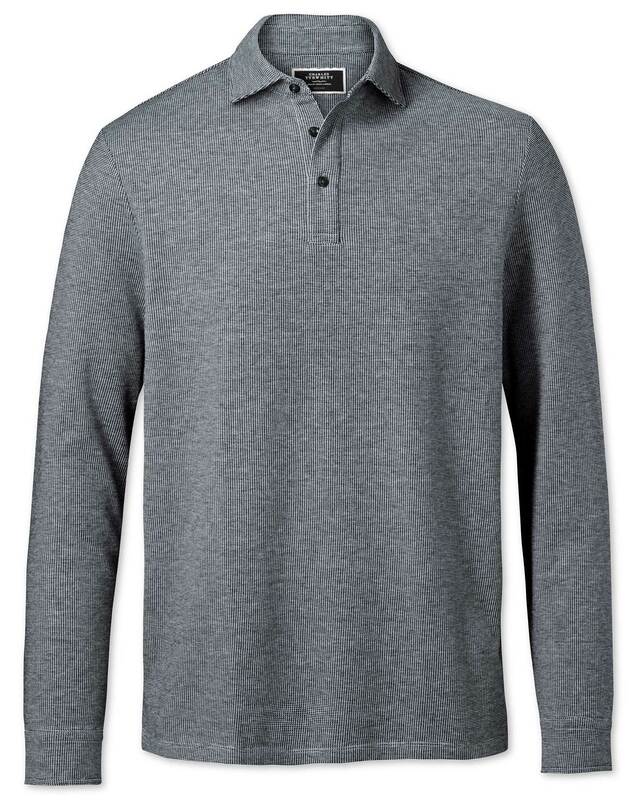 Suggest a bit more choice than just 2 light long sleeve polo, ie the textured and the jersey. Suggest jersey in few more colours. It smells on machinery oils. Response from Charles Tyrwhitt: Thank you for your feedback. It is very odd to hear of the condition your polo's arrived in. This is very odd and your order should not arrive in this condition. I have organised a replacement order for this product to be sent. I have also sent you a separate email advising how to return this product.